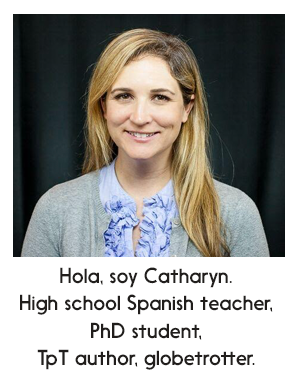 My first year teaching high school Spanish was a doozy. There was little semblance of classroom community. Sure, groups of students were friends, many students were nice and friendly to me, students willingly participated and answered my questions (even if they were mostly the same 5 kids over and over again), and students were willing to work with each other when I told them to. BUT there were definitely students who got away with never having to participate much, never meeting anyone new, basically hiding out all year long. I don’t know if these kids liked or hated the class, or really what they learned, beyond their test scores. I taught at a very diverse Title 1 high school, so had students with a broad range of cultural and social backgrounds who didn’t necessarily want to get to know each other or understand each other or really work together beyond a surface level. No one was mean or even avoidant, but they weren’t racing to bond, or even collaborate at all. Students weren't really speaking Spanish in my Spanish class... isn't that the whole goal?! Can't say enough good things about these texts! 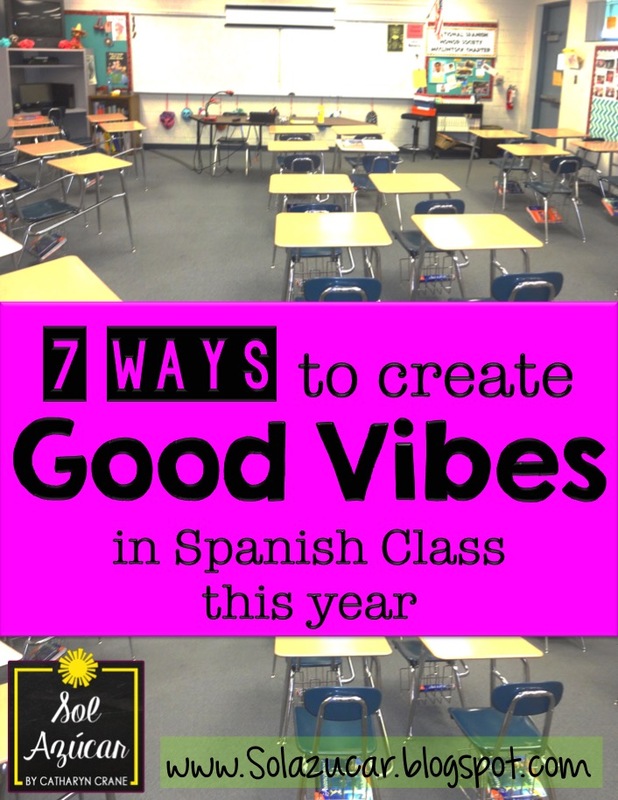 In my second year, after getting picked to take a Kagan workshop over the summer, I aimed to make some big changes to build a classroom community that fostered communication. Kagan and Kagan (2009) explain that by creating a larger sense of “our class” – as an identity, a sense of pride, a team, will result in huge classroom benefits. Since investing in the idea of classbuilding / team work / student rapport building / trust building in all levels of my Spanish classes, I’ve seen huge improvements in my students’ learning, creativity, production quality, collaborations, and sense of ownership. 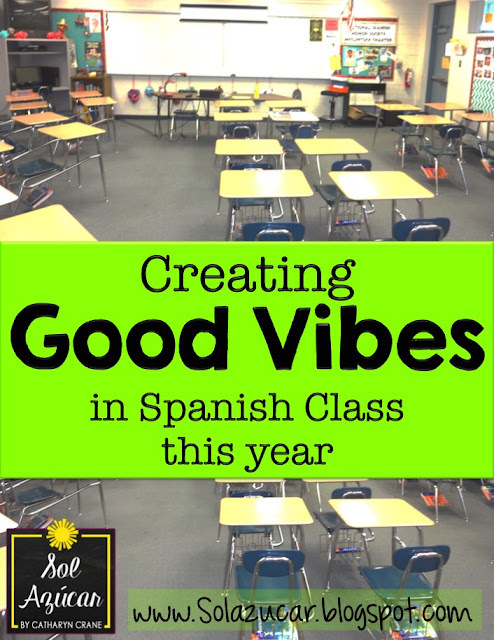 A strong classroom community is critical to Foreign Language classes in particular, because we ask students to take big risks – speaking publically, while testing out their fledgling language skills. Here’s how class building works. Classbuilding is “the process by which a room full of individuals with different backgrounds and experiences, becomes a caring community of active learners” (Kagan & Kagan, 2009). Classbuilding pushes all students to get acquainted and ultimately trust each other. Classbuilding creates an energetic and fun learning space. Classbuilding makes all students feel safe, valued, and cared about. Classbuilding creates a sense of belonging and pride in “our class”. Classbuilding optimizes learning potential, because when threat is removed students are empowered to take risks, participate, and collaborate with each other. Classbuilding teaches students to value individual differences and collaborative relationships. When students like, trust, and care about their classmates, they will work hard together! They will speak up in class – ALL of them will. They create lasting friendships from being in your class. They will love you as a teacher, remember your class fondly, and have stronger learning outcomes to show for. 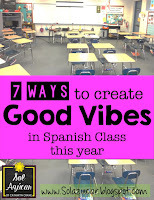 Now that we’ve defined and discussed the idea of classbuilding, see my next post in this series, 7 Ways to Create Good Vibes in Spanish Class for practical applications to the secondary Spanish classroom. Kagan, S. & Kagan, M. (2009). Kagan cooperative learning. San Clemente, California: Kagan Publishing.